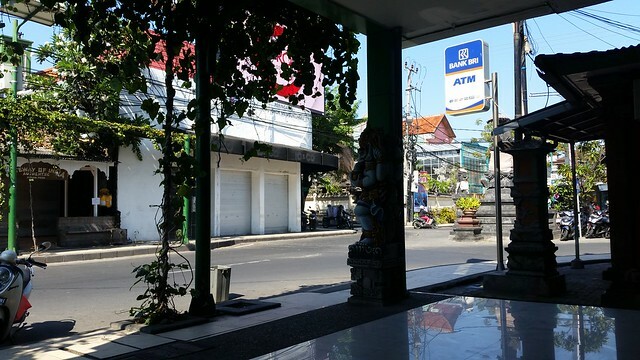 During my stay at Bali, mornings and lazy afternoons were spent traversing Legian Street. spas and my favorite, coffee shops and restaurants. We arrived with barely any sleep and were itching to check-in our hotel. 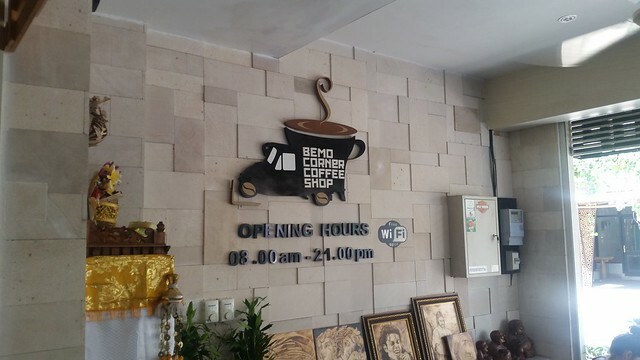 With our rooms still unavailable, we found ourselves in this cute “TripAdvisor” recommended coffee shop that served up pretty good coffee and hearty meals. 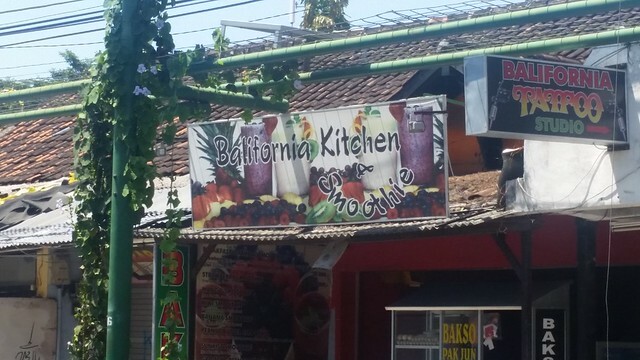 This was my first encounter with Balinese hospitality. 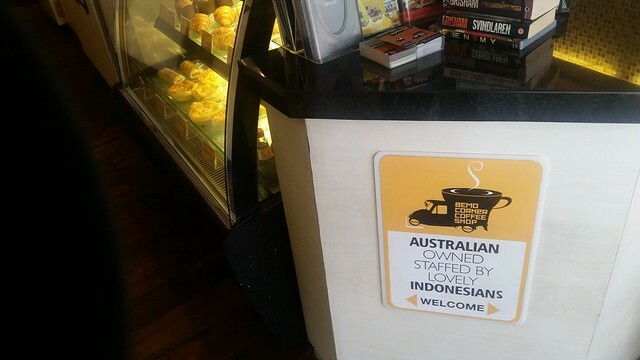 The cafe was easy-going with the waiters playing their guitars and singing in-between serving customers, joking around with the regulars, and chit-chatting with us newbies. 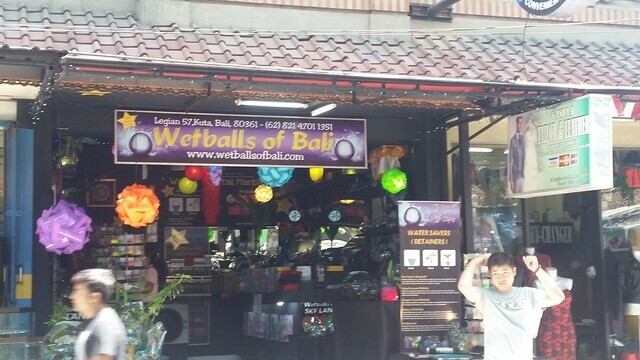 If my trip was tad bit longer, I would’ve definitely hung out in this place with these lovely Indonesians. Our four am flight sent us to zZzz land for the rest of the afternoon. 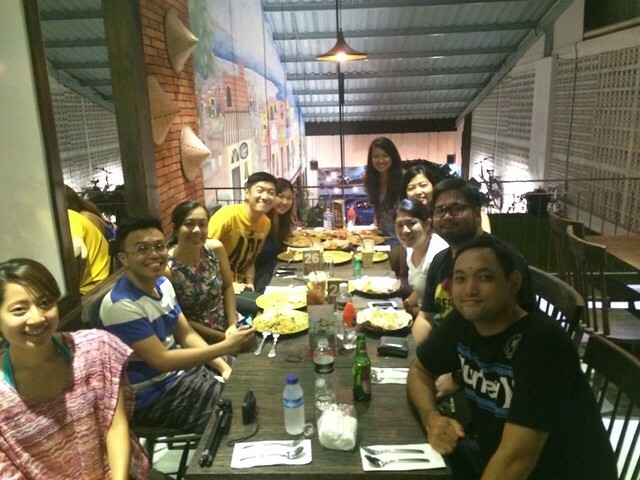 The group reconvened in the evening to have some “authentic” Indonesian Food. 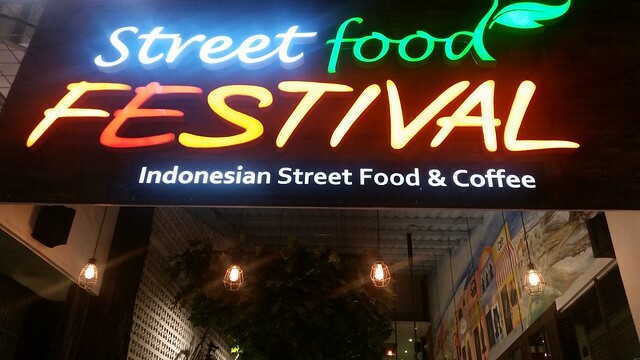 Street Food Festival felt more like a fast-food type of restaurant wherein you’d find all the meals pre-cooked by the cashier area. However, you’d still be seated and handed a menu before you get to order from your server. 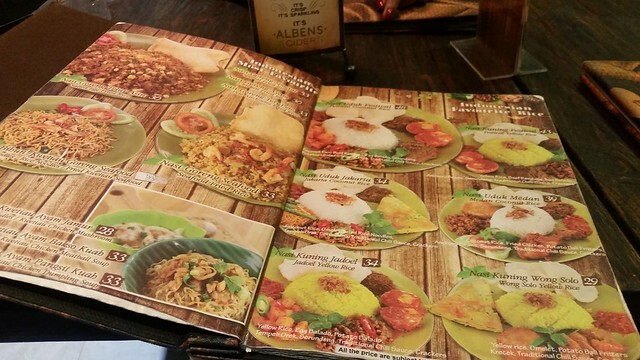 With the goal to sample as much “Indonesian Most Favorite” food, we ordered Mee Gorengs, Satays and Nasi Lemaks to share. 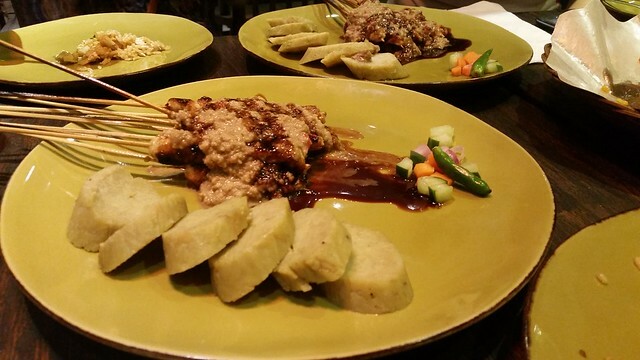 Pre-cooked and microwaved food were not exactly characteristics I found appealing with these dishes. 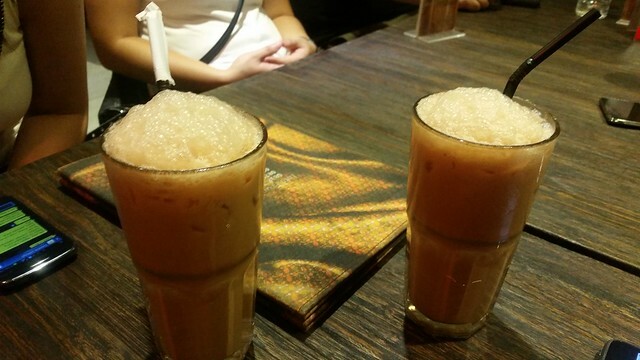 Their drinks were a perfect match to the very flavorful viands. Fortunately, the underwhelming dinner was compensated by good company. 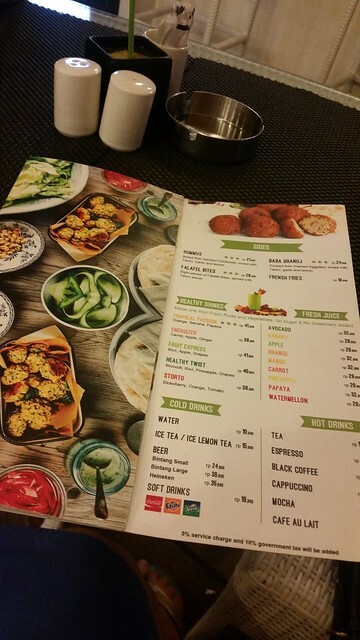 On the way to dinner, “Falafel House Bali” caught my eye since I have this strange fondness for this Middle Eastern dish. With the less than satisfactory dinner, I prodded Eric to go with me for a second round. 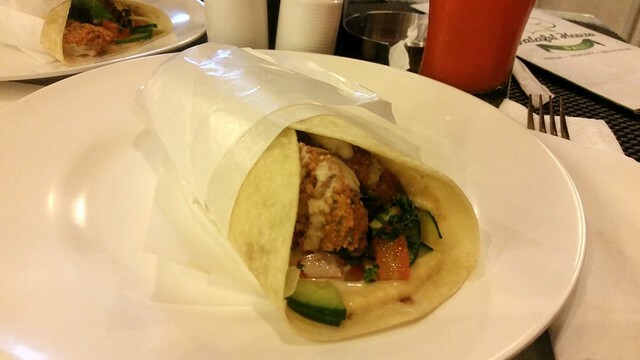 The falafel was definitely better than the previous dinner but was still hovering in the “just alright” scale. I was pretty happy to find the falafel balls coated generously with hummus. 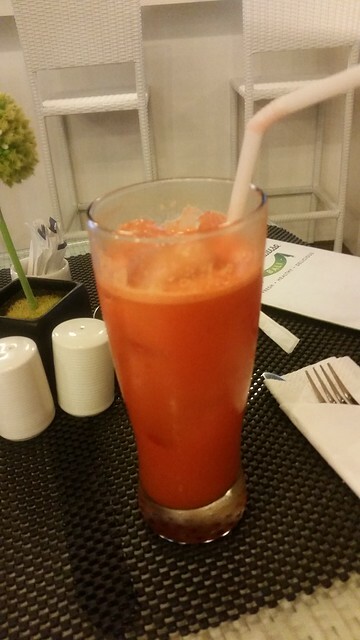 And since I love my vegetables, I paired it with freshly pressed Carrot juice which doubled as my dessert given how sweet it was. Living by the mantra that “sleep is for the weak” (or in our case, weary), we made sure that Anna enjoyed her last night as a single lady. 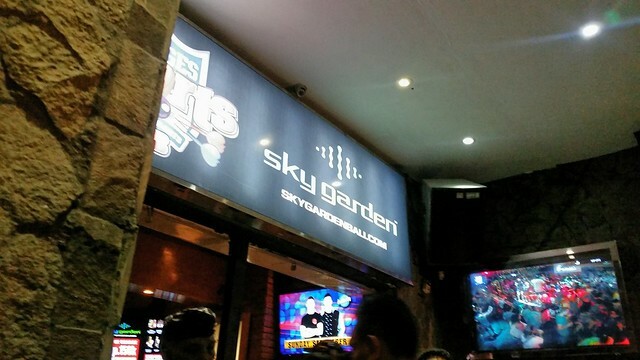 Sky Garden is the biggest party complex in Bali and was really just a corner away from our hotel. Sky Garden reminded me of Palace in the Philippines, with 8 types of clubs or pubs in just one complex. It was an experience to walk by the different sections that had their own distinct vibe. 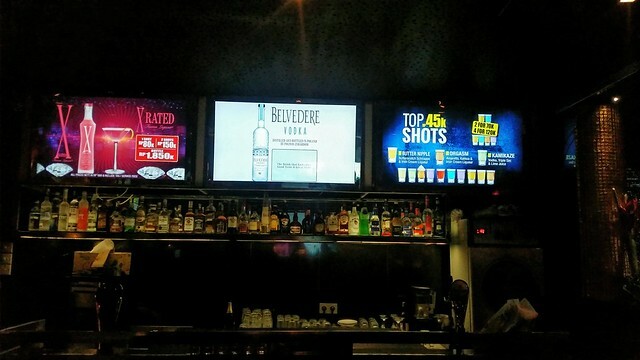 Entry in this club had the usual fee that came along with two beverages. Being the adventurous type, I opted to avail of two new drinks that did not disappoint. 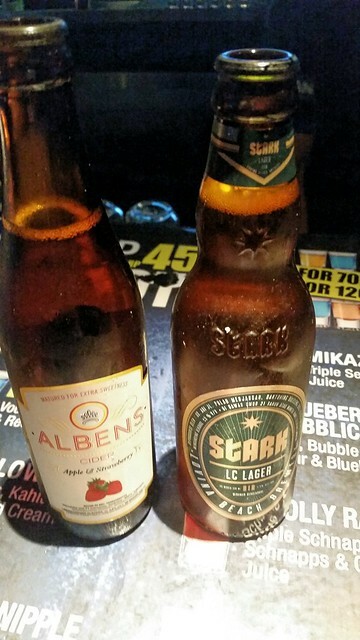 Stark Low Carb Lager had a Belgian “wheat” taste while Alben’s Cider definitely did not taste like alcohol at all. 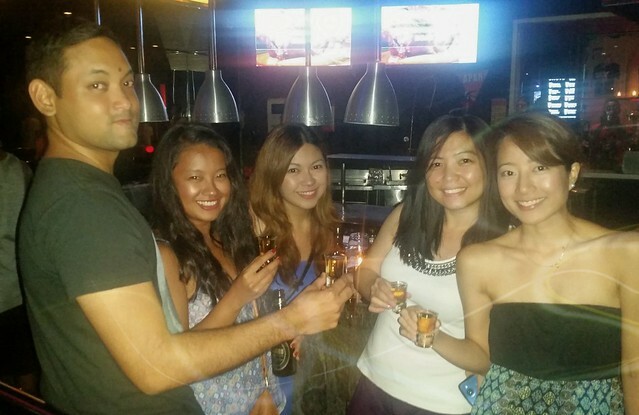 Vic wanted us ladies to have a good night and treated us a round of shots. And with that, the rest of the night was spent dancing away in the roof top, giggling at the crazy tourists (ourselves included) and downing more drinks than needed. 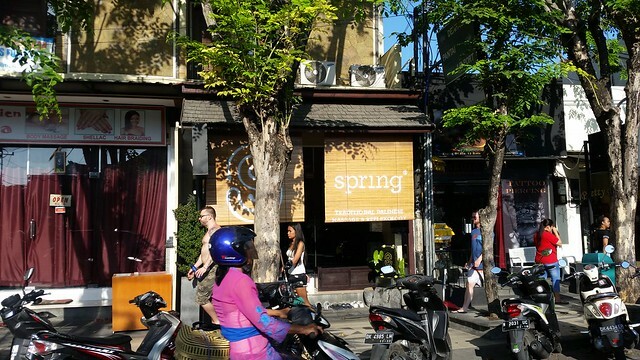 Definitely a very long but good day spent at Legian Street.